Last week’s topic of ‘Mum Guilt’ saw my best engagement to date and lots of comments. Seems I’m not alone in that department. I wondered how I would follow up on such an emotive subject and after wracking my sleep deprived brain I thought ‘Self Care’ would be a goodun. I’d never given any thought to the topic pre small human. I also hadn’t given much thought to it post small human until neglecting it took its toll. 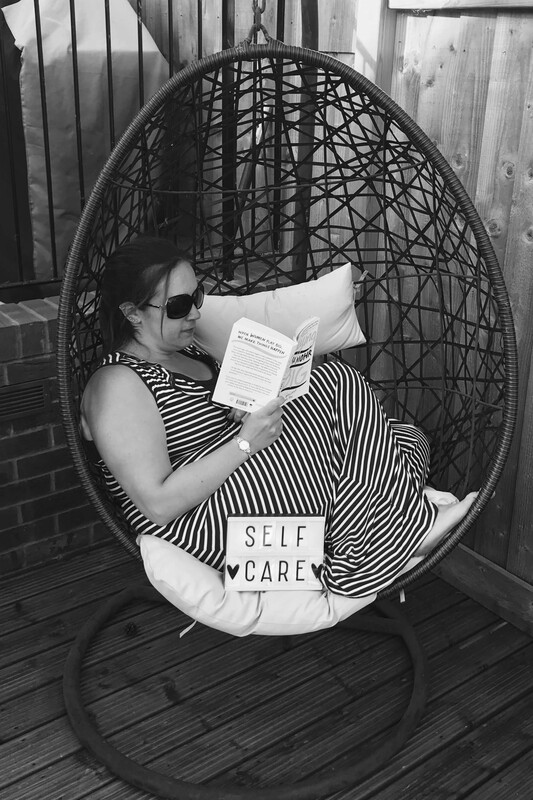 Having come out the other side of the most challenging period in my life juggling a professional career, a small human who didn’t sleep well and my tendency to over commit and set unrealistic expectations of myself, I take self-care very seriously. To be honest the idea didn’t sit easy with me to start with. I’d made my decision to have small humans. Plenty of women juggle many roles so I just needed to pull my socks up and get on with it. I just needed to keep on keeping going. If I had too much on I would cut back on ‘my time.’ I stopped reading and worst of all I stopped going to the gym. I then started to resent not having any time to myself and there it was the ‘mum guilt’ about wanting some time for myself. If I then had some time to myself I either 1) didn’t know how to stop and what to do with myself or 2) would rush whatever I was doing as I felt guilty from being away spending time on myself! I was my own worst enemy. So fast forward to the challenging period and I knew I needed to make some changes. With the help of some counselling (first time in my life and such a cathartic experience) I started to learn that it wasn’t selfish to stop and spend time on myself and actually it meant for a more productive me, a happier me, a calmer me and in turn that had a positive impact on my family. I’ve discussed this with some of my friends and some have commented that they don’t know how to stop or when they do they don’t know what to do. We could always find something to keep doing around the house but when does this become unproductive if we don’t factor in some time for ourselves? What’s going to happen if we put the ironing on hold for 30 minutes to have a soak in the bath? When you think about self-care images of beach holidays or spa days may spring to mind. Although I’m always up for a holiday and/or spa day that isn’t realistic on a regular basis so I look for simpler things to help me reset. For me self-care is: An uninterrupted shower, push the boat out and turn that into a bath with a book, a couple chapters of a book or flicking through cosmo (I appreciate I’m way outside their desired catchment audience but I still enjoy it), a chick flick snuggled on the sofa, getting my nails done, colouring, knitting. It doesn’t need to be something that takes a long time and even 5 – 10 minutes to sit down with a hot cuppa and a couple of hobnobs can make a difference. For me it doesn’t necessarily need to mean time away from the small humans, just time away from chores and getting out of the house. I wasn’t previously really an outdoorsy person but I love getting out and about now. To me it also means being kinder to myself. To stop setting unrealistic expectations on myself, unrealistic targets and to stop ovecommitting. And then sometimes I do need to ‘take a day’ and I go off to do something, guilt free and not rushed, safe in the knowledge that the children are having a lovely time with their dad and I will feel fully refreshed. Like many things I’ve blogged about to date it really is a work in progress and is taking time. It is not something that has come naturally to me but I absolutely welcome the difference in how I feel. I feel I’m more patient, calmer and don’t sweat the small stuff. I’ve kept saying ‘to me’ ‘for me’ as what I consider self-care is likely to be quite different for the next person. I’d love to know how you switch off and what you do either on a daily basis or when you need a good old re-boot. Why not take some time to yourself on a Wednesday 8.00-9.00pm and join the closed facebook group Light It Up: Let’s Talk to have a chat about the weekly topic, share you advice or lurk and soak up everyone else’s ideas. Now I’m off to indulge in a little bit of self-care by rubbing in some aftersun! Ahh! This is so so true. You have just written what every single mum is thinking. I’m exactly the same, if I have any ‘free’ time I automatically work through my actual list the length of my arm of things I need to sort. I don’t read, do any sewing, listen to the archers, watch a crappy film (i am aware those hobbies make me sound 65) have any me time at all. It takes its toll, I get stressed, snappy and angry at the world and myself and of course take it out on the darling husband. This topic definitely links in with your last one. We are so hard on ourselves and spend so much time pleasing everyone all the time. When did we stop pleasing ourselves?! Don’t apologise Rachel, love a bit of interaction, can get a bit lonely otherwise. Absolutely agree. I’m not sure it was a conscious decision to put my needs on hold but you’re absolutely right, when did we stop pleasing ourselves? And why? We deserve it. As for the things that calm you down whatever floats your boat, no judging here!